It’s no secret that one of the most popular pickup trucks in the world is the Ford F150. As one of the longest running pickup truck series, Ford really has hit a home run with the F-150, and the 2019 Ford F-150 is no different. Coming a long ways from its humble beginnings, the 2019 is offered in 5 different trim levels that allows consumers to pick exactly what type of truck they want with the options they need in a truck. Today, we are going to break down the standout features found on each trim level and see just what trim level suits your need. For the 2019 F-150, you are going to have a base model with the XL trim package. This is going to be the most affordable 2019 F-150 available and it will feature a 3.3L V6 engine with automatic stop/start technology. With this trim package, you will get an AM/FM stereo with a built in clock, SelectShift technology, and a 4.2″ center-stack screen with audio controls. A step up from the XL is going to be the XLT trim level which carries on the same great features as the XL, but with a few upgrades of its own. 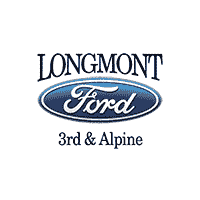 On the XLT you will get SYNC 3 + Ford Pass Connect, a Power Equipment Group, and a chrome front and rear bumper. One of the most famous F-150 trim levels, Lariat, makes a return on the 2019 and carries over the XLT basic features plus a few upgrades. The Lariat gets the following upgrades: Itelligent Access with push button start, leather trimmed seats, and Lariat themed appearance upgrades. For those wanting to go the luxury route while still maintaining power and off-road capabilities, the 2019 King Ranch F150 should be on your list. The King Ranch features Lariat basic features plus King Ranch interior, a two tone paint scheme, a new 5.0L V8 with Flex Fuel Capabilities, and a B&O sound system. If adventure is your thing and you love to off-road, the Ford Raptor is going to be the F150 to have. If you couldn’t tell by it’s appearance, the Raptor is made to take on the wildest of off-road adventures. While we could go all day talking about this truck, the main keynotes to hit are the 3.5L Ecoboost V6 engine, unique cloth seats, flow-through console, floor shifter, Fox Racing Struts, and unique IP center stack and Raptor badging. It also gets a more aggressive appearance package. One of the highest trim levels found on the 2019 F-150 is the Platinum level. This trim level carries over the basic features of the Lariat and has a long list of upgrades unique to the Platinum. The top three features that we want to hit are going to be the Genuine wood interior trim accents, B&O sounds system, and voice activate navigation. If you need the most fully loaded F150 available on the 2019 lineup, you can opt for the Limited trim level. While the limited is fully loaded with features that would take us all day to explain, we would like to highlight the high output 3.5L Ecoboost V6 engine, SYNC3 system, and twin panel moonroof.